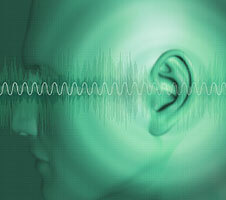 Offering full services to identify, diagnose and treat hearing disorders. Our team of doctors, as well as certified and licensed audiologists, in the Spokane Valley ENT audiology center offer full services to identify, diagnose and treat hearing disorders for patients of all ages, from infants to seniors. If you are experiencing problems with your hearing, an audiologist will first evaluate your hearing to determine the degree and type of your hearing loss. The audiologist will also examine your ears for possible physical causes of hearing loss, like excessive wax build-up or infection. We will also perform an audiogram to measure your ability to detect sounds at various frequencies or pitches, and measure your ability to understand speech at different loudness levels. We understand that hearing loss can have a significant impact on your daily life. That’s why Spokane Valley ENT not only evaluates the hearing loss, we also work closely with you to find the best treatment option for your lifestyle. Our team of doctors and audiologists is up-to-date on the very latest developments in hearing technologies. Treatment options include audiological rehabilitation, hearing aids, assistive technology, FM systems and cochlear implants.